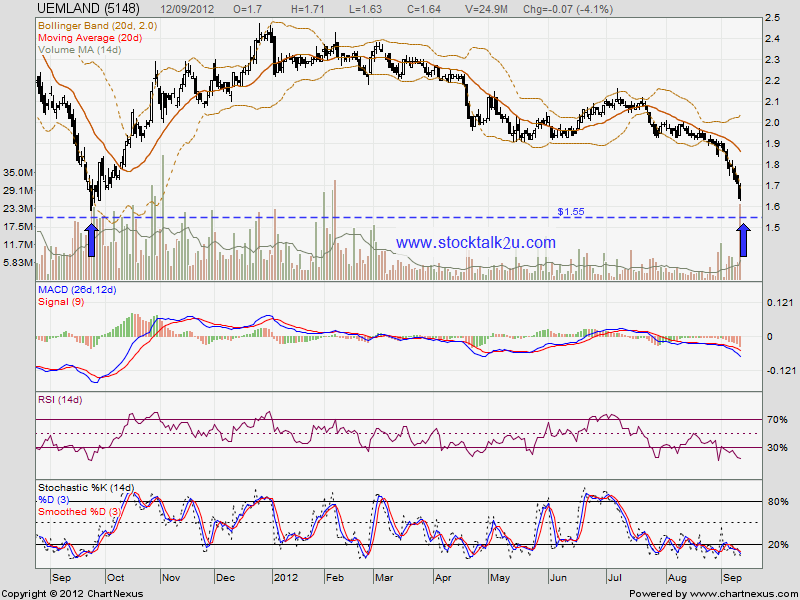 UEMLAND facing high selling pressure & keep forming lower low. Stochastic %K on SELL call position. Technically, it will retest RM1.55 support level & technical rebound. 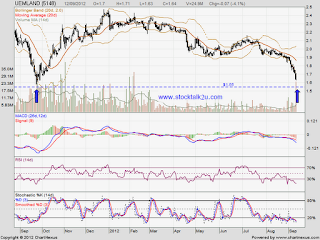 If rebound, immediate resistance @ RM1.92 level.